loaded extesnion hurts – pushing up from chair or pushing heavy door open. Thumb on tubercle, index dorsally . 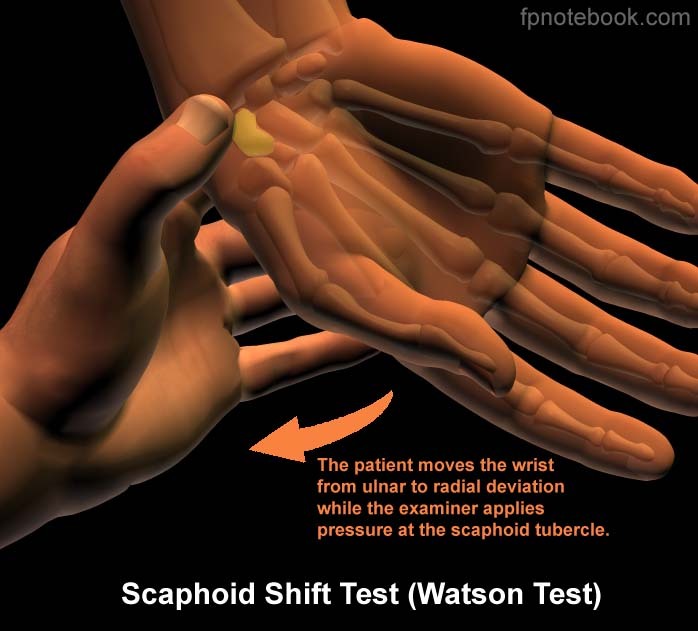 Push back and forth and as wrist moved radial- ulnar deviation. My wrist has been hurting for a quite a while now and I went to physical therapy once before but they could not define what it could have been. My wrist does not hurt everyday, but when it does it hurts all day and I have to be very carefull with the things I pick up. A cellphone start to bother me when I am texting. I am right handed but this only occurs with my left which I bearly even use. Any advice would help. This sounds like some form of instability of one of your wrist joints. This can be difficult to decide where it is exactly. Circle your remaining fingers around affected side thumb and pull. While pulling, press thumb in snuff box and see if that helps. 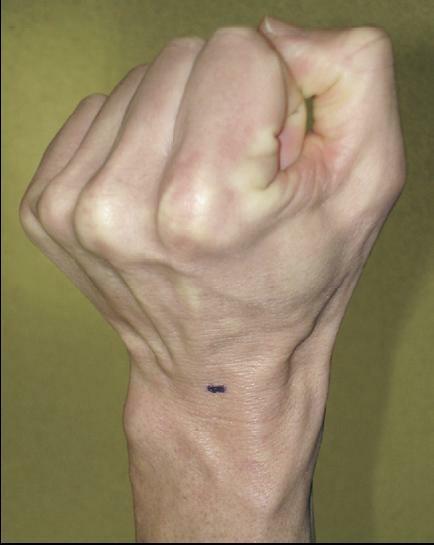 Put your opposite side index finger just below your wrist joint. Squeezing with your two fingers should mobilize that joint and you can see if that is where the pain is coming from and whether that helps to mobilize it. Lots more areas that could be affected and you need to see either a physio or specialist good at wrists. Unfortuantely, you need to be seen when it hurts…. My wrist hurts off and on, but it has not bothered me for a while until the other day I did some gymnastics (just for fun, not seriously). Now my wrist hurts when I have it at a certain angle,, like when I am texting or writing. It hurts on my right wrist a little higher up than in the picture. The weirdest part is that on this area there is a valley where my skin dips down and it is soft (right where it hurts). Less than a year ago I had a gangolion cyst on the same wrist. Does this sound like dorsal wrist impingement? And should I be worried about the dip in my wrist?